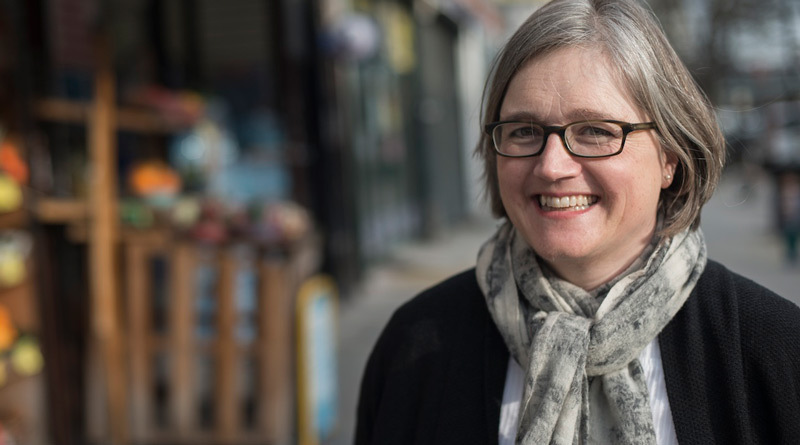 I’m asking for your support to be #1 on the Green Party’s list of candidates for the London Assembly because I believe I have the skills, competence and experience to make the most of an Assembly seat both for Londoners and for the Green Party. Since May 2014, I’ve been the sole opposition councillor on Islington Council. I’m a transport campaigner and the Green Party’s National Spokesperson on Local Transport. Beyond politics, I’ve been an artist, I’m a trained civil engineer and I’ve brought up three children. As a transport campaigner I have a clear vision for the radical action that is needed to reduce danger on our streets, clean up our air and make London a more liveable and healthy city. Transport is one of the Mayor’s main powers and I would be well placed to hold whoever is Mayor to account. Both as a councillor and as a national spokesperson for the Party, I’m used to speaking in public, getting our message out to the press and doing interviews for radio and television. As an Assembly member I would draw directly on my work as sole opposition councillor in Islington where I’ve gained valuable experience at holding the lead group to account, bringing community into the Town Hall and making a difference to people’s lives. I’ve learnt to use the scrutiny process to stand up for residents, hearing concerns, identifying opportunities and getting positive outcomes. In the last year, I’ve supported Greenspace workers on agency contracts to get permanent status, stood up for residents facing unfair charging for communal heating systems and helped Islington Park St residents facing eviction by One Housing Group. I stood in Islington North in the General election, trebling our share of the vote to 10.2%. It was the sixteenth best result in the country and achieved without national party target status. We did this by organising and engaging new teams across multiple wards, building on local enthusiasm and community links and delivering targeted communications to more voters than ever before. My election to Islington Council in 2014, in a breakthrough ward, was by just eight votes. I know that every vote counts and that we have to earn the trust of voters across London. This means appealing to Londoners across our city with a positive vision that can include voters who have voted for other parties in the past. If we are going to get Greens in to City Hall, we must inspire voters of all backgrounds that Green Party leadership can make London a better city. I believe I am ready and able to use all these skills at a London level. A new team in City Hall should build on the achievements of Jenny Jones and Darren Johnson over their 16 year tenure and find new ways to use our elected voices to champion local campaigns and concerns of people across London.